Interchange Part Number: GM1241259C. Capa Certified. 1997-2005Buick Century. Condition: New. Discover Network. Master Card. Warranty: 1 Year. Manufacturer Part Number: 12455104. CENTURY 97-05/REGAL 97-04 FENDER RH. CENTURY 97-05/REGAL 97-04 FENDER RH. PositionFront, Passenger Side. Partslink NumberGM1241259. Replaces OE Number12455104. 1997-2004 Buick Regal. 1997-2005 Buick Century. 6:00PM 9:00AM. Manufacturer Part Number: GM1240259PP. Driver Side Front Fender. If your fender is a painted part, you will need to have this painted locally. This is not a painted part. Part Category: Fender. Vehicle Position: Front Driver Side. GM Replaces 11589293. Pontaic Torrent 2005-On. Retainer Clip Door Trim Panel Push Type Fit GM Truck Chevrolet NEW 50 x. Ford Replaces W712196-S300. 8PCS Spark Plugs Replace Acdelco 19299585 41-962 for GM Cadillac Chevy Buick GMC. 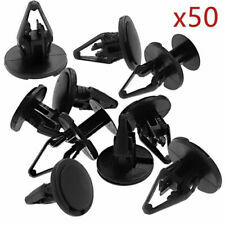 50pcs High Quality Cowl & Fender Push-Type Retainer SPECIFICATIONS - Color: Black Material: Nylon Head Diameter: 20mm Stem Length: 22mm Fits 8.5mm hole Panel Range: 4.5mm - 7.0mm FITMENT - Ford Replaces W712196-S300 GM Replaces 11589293 Buick Century, LaCrosse & Regal 2005-On Chevrolet Equinox 2005-On Pontaic Torrent 2005-On Cadillac Hummer Lincoln Mercury Auveco A20889 NOTE - *Free shipping an fast shipping from Kentucky. *You will receive what you see in the pictures, please compare the pictures and the specifications carefully before ordering! *We offer 100% customer satisfaction. *We fully stand behind with all the items that we are selling! *Please check our stores for other car and truck parts. *Please leave us positive feedback if you are satisfied with the item. REGAL 97-04 R. - The third level quality part. - The second level quality part. It is of average miles and normal condition for its age. - The highest quality part. It is of low miles and/or exceptional condition for its age. May Need To Be Truck Freighted To Commercial Address!!! Interchange Part Number110-02287BR, 12455104, GM1241259, 110-02287BL, 12455103, GM1240259. Installation type Snap Fit. Power/manual N/A. Turn signal NO. Color: Polyurethane Black. Material: Polyurethane (PU). We also have a variety of LED lighting accessories for cars and boats. Because of its love for cars, we took it as our main job. Serving the majority of car enthusiasts is our aim. 97-05 Buick Century. 97-2004 Buick Regal. Side Mirrors. This Part Fits. it might take up to 24 hours for us to respond. We try and process order as quickly as possible. Material : Steel. Brake Pads. CENTURY 97-05/REGAL 97-04 FRONT FENDER LINER RH. CENTURY 97-05/REGAL 97-04 FRONT FENDER LINER RH. PositionFront, Passenger Side. Partslink NumberGM1249109. 05-05 Buick Century Special Edition Sedan 4-Door. 03-03 Buick Century Base Sedan 4-Door. 97-05 Buick Century Custom Sedan 4-Door (98 99 00 01 02 03 04). 97-05 Buick Century Limited Sedan 4-Door (98 99 00 01 02 03 04). Material: Carbon fiber soft rubber. Carbon fiber pattern makes your car more 3D energetic. 4 car wheel trims. Applicable car model: all cars. You should receive item within 3-5 weeks. E-check will be held until cleared. GM1249109 NEW FRONT RIGHT FENDER LINER FOR 1997-2005 BUICK CENTURY REGAL. Interchange Part Number GM1249109. 2004 BUICK REGAL. 2003 BUICK REGAL. 2002 BUICK REGAL. 2001 BUICK REGAL. 2000 BUICK REGAL. 1999 BUICK REGAL. Fender & Accessories. 1997 1998 1999 2000 2001 2002 2003 2004 2005 Buick Century. ○ Sorry, No Hawaii, Alaska, Guam, or Puerto Rico. Failure to do so could cause delays in processing your order. ● Sorry, No Hawaii, Alaska, Guam, or Puerto Rico. Item Type: Mudguards. Special Features: Mudguards. Material Type: ABS. Mounting style:Front or Rear Wheel Well Mount. We will reply you within 24- 48 hours. Fit most full-size trucks, vans, and SUVs.